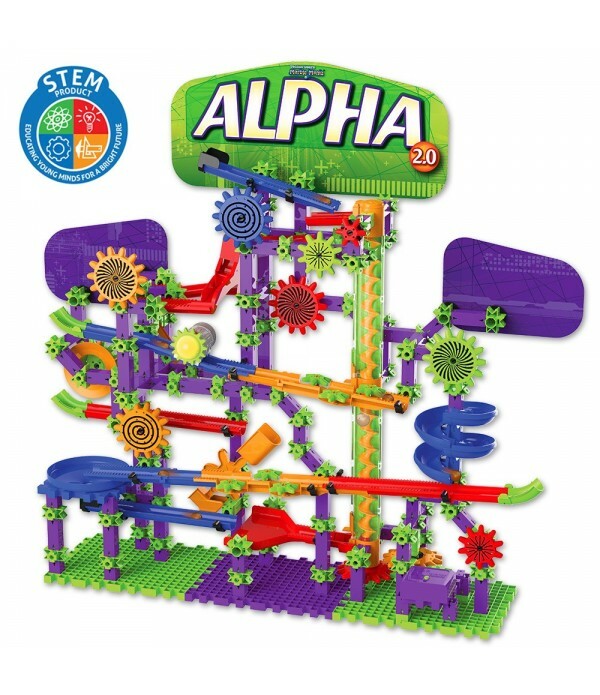 The Alpha 2.0 set of Techno Gears Marble Mania will allow your “builders” to construct a cool marble run. 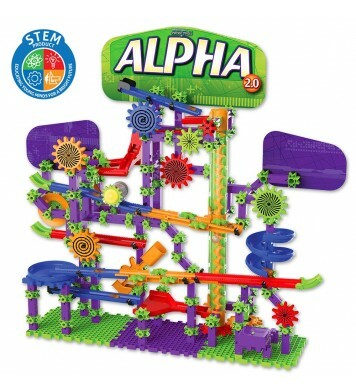 With over 300 pieces including a power lifter, dual marble tracks, electronic light and sound module and spiral tracks, Techno Gears Marble Mania Alpha will keep your young architect busy creating exciting working and moving creations. 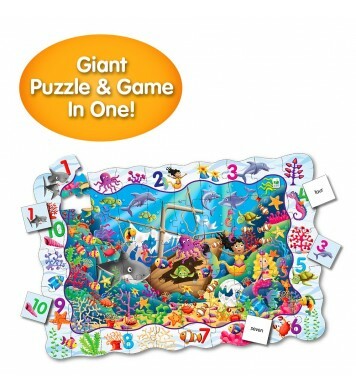 Requires two “AA” batteries (not included) and three button cell batteries (included). 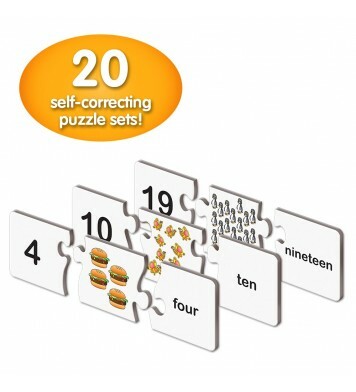 Ages 8+ years. Techno Gears Marble Mania - Alpha 2.0 from The Learning Journey Int'l on Vimeo. This is the second "Learning Journey" product that my son has received. 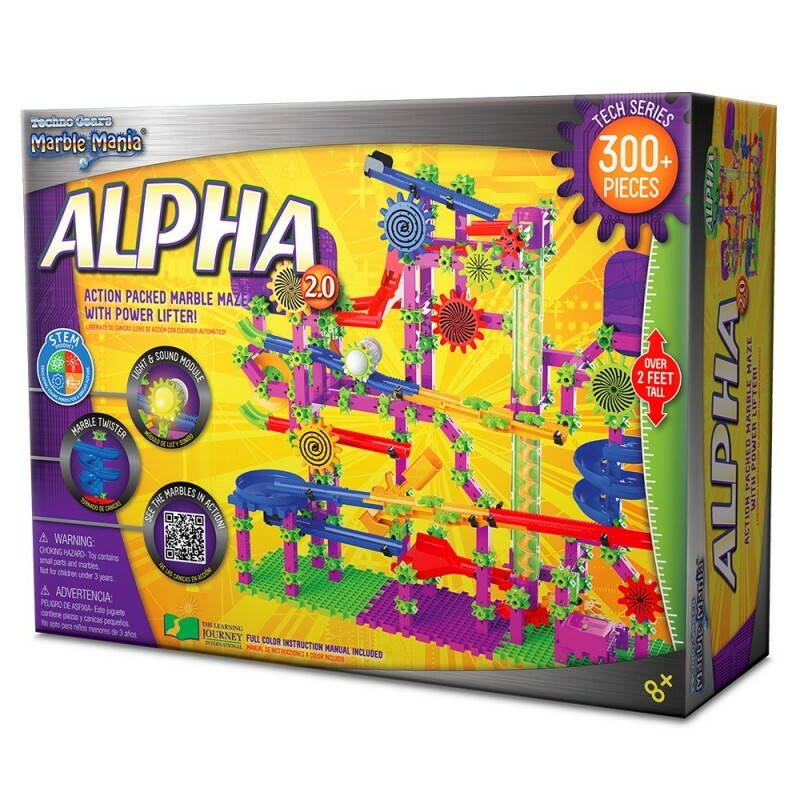 His first Marble Mania set was the "Shockwave", but he's really enjoyed building and playing with the "Alpha" set. 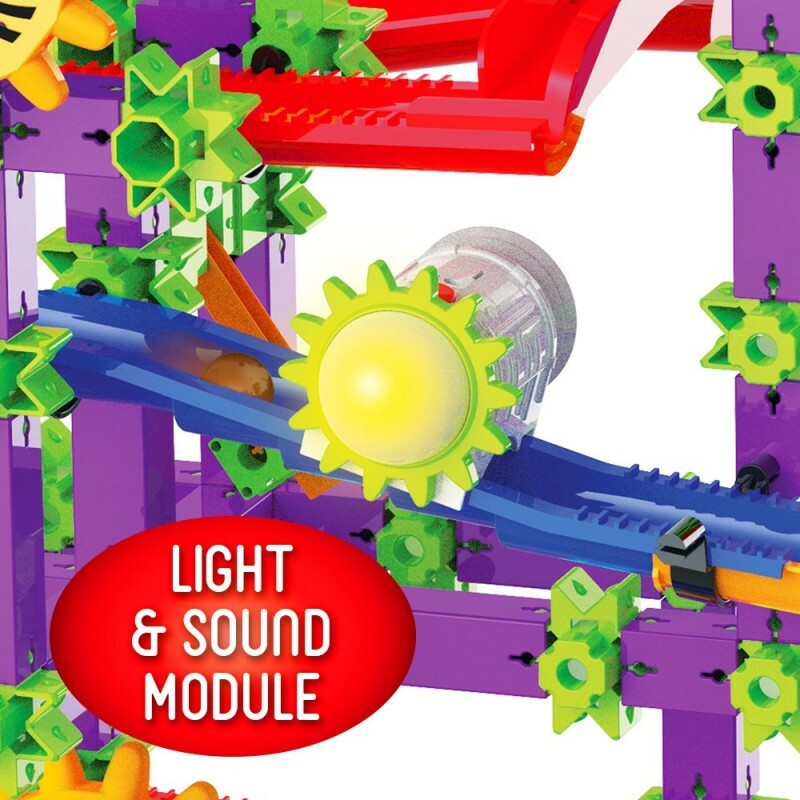 The "Techno Gears" line definitely appealed to him more (as a 9 year old boy) - he noticed the colors were less "juvenile" and he really likes the additional track elements and features. I helped him assemble his first Marble Mania set, but wanted to let him go on his own this time around - it took him about 3-4 hours to complete, and he did it all by himself. He said the directions were easy to follow, but that some of the connectors were sort of difficult to piece together (meaning they required some force). 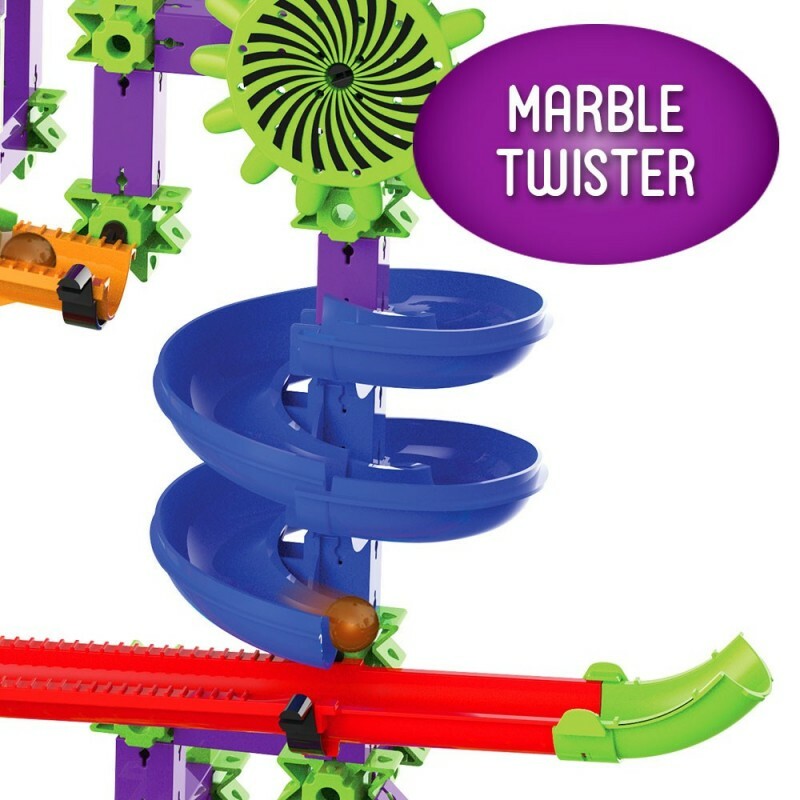 He loves that there are two different tracks for the marbles to travel down, and that the spiral lifter is motorized instead of a manual crank. Sometimes, however, the marbles need help loading into the spiral lifter - they seem to hang up occasionally on a piece of plastic when moving into the lifter. He also told me that the blue spiral is his favorite part of the track, and the sound and light element is awesome as well. If the marbles really get going, they can sometimes fly off the spiral segment, but that hasn't happened very often. 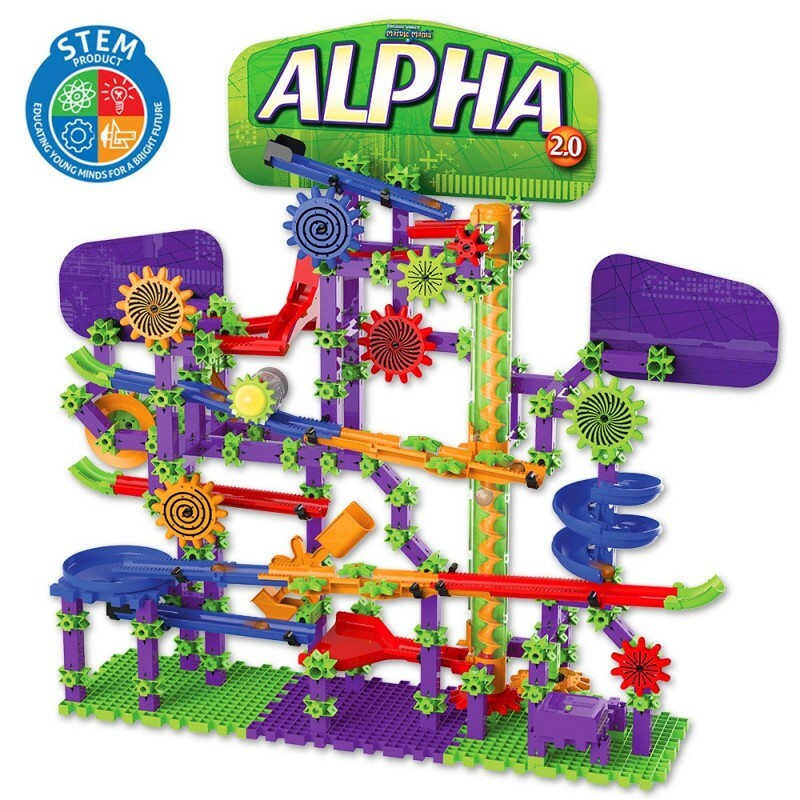 If you have a child that really enjoys design and tech-style construction projects, or that you can tell is an aspiring engineer or architect, they'll really love spending time with the Techno Gears Marble Mania "Alpha" set! It is fun!!! High quality fun!! !